Foobar2000 is a freeware audio player for Windows 8/7/Vista/XP. It supports a large number of audio file formats including MP3, MP4, AAC, CD Audio, WMA, Vorbis, Opus, FLAC, WavPack, WAV, AIFF, Musepack, Speex, AU, SND and more with additional components. With it, you can custimize user-interface, organise metadata, files, and folders. In addition, foobar2000 supports for ripping Audio CDs as well as transcoding all supported audio formats using the converter component. If you just switched to Mac from Windows system, you may also want to run Foobar2000 on your Mac to take care of music playing on Mac, but only disappointed to find that there is actually no Foobar2000 for Mac. In fact, you are only one of those who search for Foobar2000 for Mac or at least a Foobar similar for Mac, or Foobar replacement for Mac or Foobar alterntaive for Mac. TechiSky will introduce several Foobar for Mac alternatives and their shortcomings in the following. Does Mac OS X 10.9 Mavericks Play Blu-Ray Disc Movies? How to Play Blu-Ray Disc Movies in OS X Mavericks? Does OS X Mavericks Support Blu-Ray Playback? OS X Mavericks, the newest Mac OS X system, brings more than 200 new features including improved multiple display support, mission Control, Finder, iBooks, Calendar, Maps, and a number of other time-saving enhancements. In video playback, OS X Mavericks improves the energy efficiency of iTunes HD video playback. The video playback engine takes greater advantage of the efficient graphics hardware in your Mac and reduces the frequency of disk access. It’s a pity that OS X Mavericks still does not bring Blu-Ray playback. So users still cannot play Blu-Ray with iTunes or QuickTime on Mac OS X 10.9. However, if you have an external Blu-Ray drive, you can play Blu-Ray movies on OS X Mavericks with the help of Blu Ray Player for Mavericks. Why Choose a Microsoft Office 2013 Replacement? What is the Best Microsoft Office 2013 Replacement? 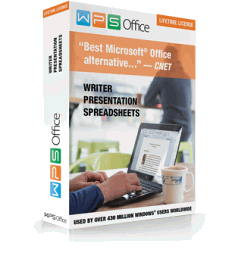 Why Choose a Microsoft Office 2013 Replacement for your Work? Microsoft Office 2013 was released for almost half a year. Are you still hesitate whether to purchase a copy of Microsoft Office 2013 or upgrade your MS office older version to Micrsoft Office 2013? You may probably read about lots of articles about the high price and the ridiculous pricing strategy of Microsoft Office 2013. People can buy outright with $399.99 for the Office Professional 2013 or subscribe Office 365 Home edition with $9.95 monthly and $99.99 annually. Microsoft will enable you to install the $399.99 copy of Office Professional 2013 on a single PC, once, for the life of the software – however, so you couldn’t move it to a new PC when the existing one died. And once you pay $99.99 for Office 365, you will probably go on to pay $99.99 annually in order to continue use it; it will stop working if renew stops. But there are more factors that makes more and more people go for a Microsoft Office 2013 Replacement, such as the removed features from MS office, the large file size of MS set up and document, the slowness of document opening and saving.